Bestselling and award-winning, this is our flagship book. It’s packed with exercises, science, and deep explanations of human movement—and the problems that arise when we stop moving. Side effects may include trying to make everyone you know read this book. Many know the cardiovascular system delivers oxygen and nutrients to the body while removing waste from the tissues. They believe this process is driven by the heart muscle, using the arterial and venous system to circulate the blood. This definition is not exactly incorrect, but it is oversimplified to the point of being misleading when used in the context of improving cardiovascular health. If I had you create a mental image of the cardiovascular system, chances are you would come up with an image similar to those presented in anatomy and physiology textbooks throughout the world: But this picture is incomplete. 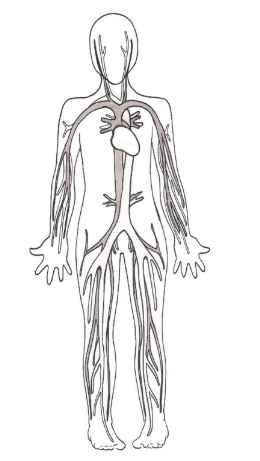 The arteries and veins are usually the main feature of drawings like these, but what this image leaves off are all the smaller vessels where oxygen delivery—the very reason the blood needs to circulate through the body—takes place. The final destination of oxygen is capillary beds—the teeny-tiny tubes that branch off the arterioles, which branch off the arteries. This is where the exchange between the body and blood occurs. 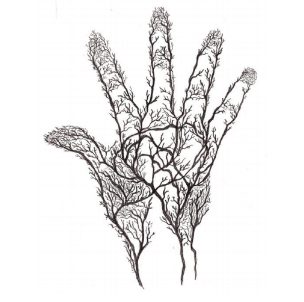 If you prefer pictures to words, it means that the blood flow to the hand pictured as this: really looks more like this: Even this picture hardly does justice to the dense network of your capillary system. The capillary system is so prolific, most cells in your body (and there are a hundred trillion of them) are within fifty micrometers of a capillary. Don’t have your micrometer measurer handy? A human hair is about seventeen micrometers thick, which means almost every cell in your body is within a few hair-widths’ distance from a capillary. Say you’re trying to visit a friend who lives a few states over from you. You hop in the car and head over on the fastest freeway to get as close to her house as you can before jumping onto a smaller but still crowded inner-city road, then to the slower routes through suburbia, and finally pull your car into the driveway of your friend’s home. The process of going from being one in a thousand cars driving on megahighway to being the only car in a driveway is similar to the experience of a red blood cell traveling from your heart to a capillary bed. The function of the cardiovascular system is only “good” if it accomplishes the task of delivering oxygen everywhere in the body, and the state of your cells—your microhealth, if you will—is a better indication of the function of your cardiovascular system than is the ability to run five miles. HOW DOES BLOOD-OXYGEN GET OUT OF THE ARTERIES AND INTO THE CAPILLARIES? Blood moves like this: The mechanical stimulation of a muscle working causes the smooth-muscle walls of the arterioles to relax and open (this is called vasodilation), causing a drop in pressure that pulls blood from the arteries to the capillaries. Now I’m going to stop you here and have you recall the version of the cardiovascular system you are most familiar with. Do you remember any mention of the musculoskeletal system? Probably not. The cardiovascular system most of us are presented with is one in which the heart is essentially pushing the blood around your body. In reality, working muscles pull your blood to the tissues that need it. The “heart-pump” model of the circulatory system is probably why the “strengthening your heart” paradigm has persisted. Within a sedentary culture, the heart becomes the sole mover of blood. This is not “how the body works,” but how the body operates in a movement drought. 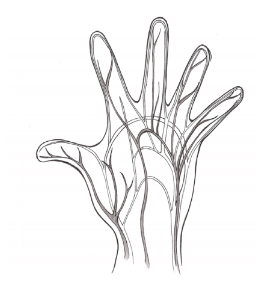 The total volume of the capillary system is roughly equal to the volume of blood your body holds—about five liters. Which means that if your entire volume of blood were to move from the arteries to the capillaries there would be little left for the heart and major vessels. Oxygen delivery is extremely important for you and your cells to survive. Your cells, without regular oxygen, react much like you would without regular oxygen. Pretty panicky, right? Yet if you had enough blood to fill all your blood vessels all the time, you would be very heavy and inefficient. 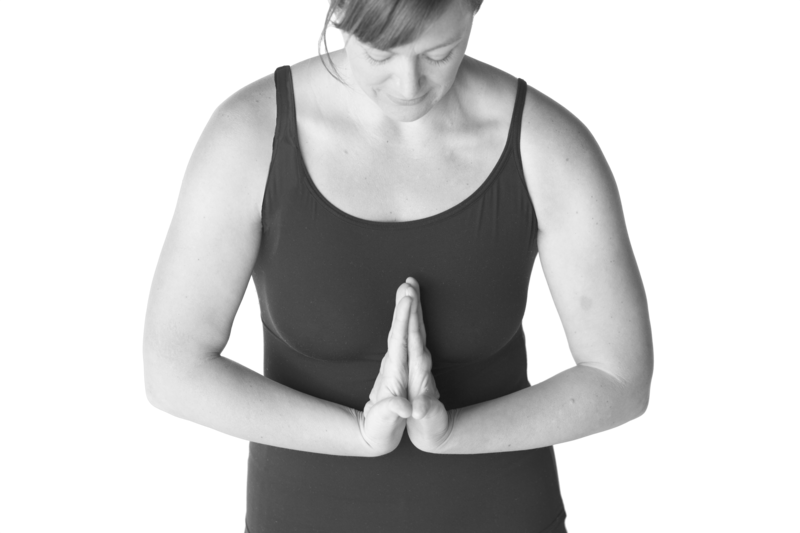 In this case, the trade-off your body has made for constantly saturated oxygen is lightness. Now let’s think about that whale in captivity again [Blog editor’s note: Move Your DNA has a pretty amazing orca analogy earlier on]. It makes sense that the structure and functions of an animal adapt to the movement environment it has experienced while evolving. Just as the whale fins depend on the mechanoenvironment created through natural swimming, our very own system of oxygen distribution depends on frequent and constantly varying muscle use. Because the body’s oxygen delivery system is based on use, we get the best of both worlds: constantly available cellular nutrition when we need it, without the burden of extra weight. The only caveat to this arrangement (always read the fine print!) is that the displacement of blood into the capillaries depends on the use of the musculoskeletal system. If you don’t move, your cells don’t get fed. If your cells don’t get fed, they die. So now we have yet another reason movement is not optional: In addition to creating loads and modifying genetic behavior, movement is an essential step in the process of oxygen delivery. 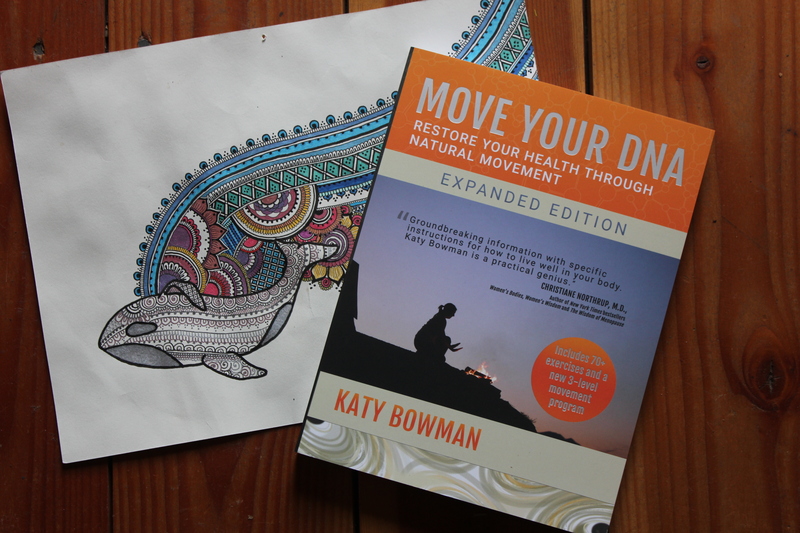 Try an exercise from Move Your DNA! 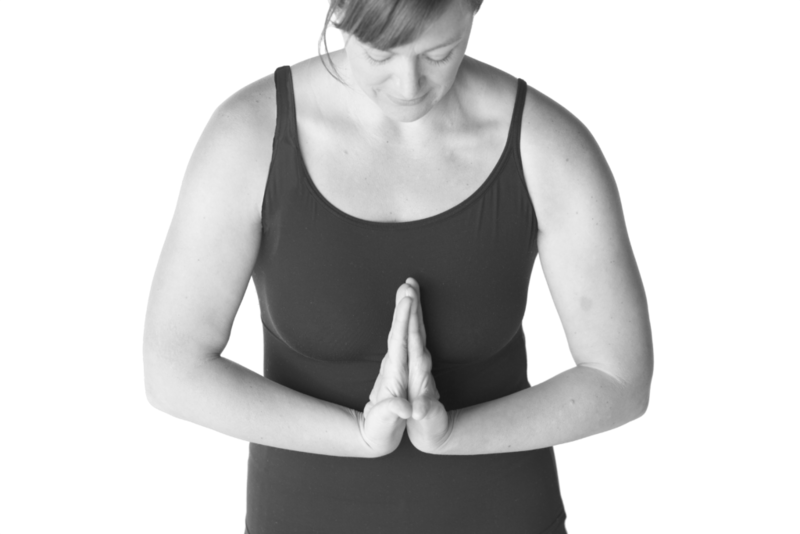 Lower your wrists until they’re at the same height as elbows. Keep fingers together!